More than half of all air passengers know the uncomfortable feeling of pressure or pain in the ear that occurs mainly while landing. The ear is a very sensitive sensory organ. Behind the air-tight eardrum is the middle ear. While landing air pressure in the cabin of the airplane increase rapidly, it creates a relative negative pressure in the middle ear. 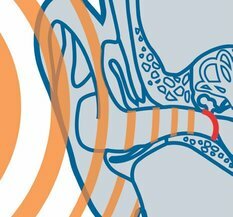 Increasing air pressure causes the eardrum to bulge inwards into the middle ear. Now the Eustachian tube, as solid pipe connection between the middle ear and nose - pharynx area, must take care of equalization of pressure. If the Eustachian tube is not able to actively open up, it creates a relative negative pressure in the middle ear.Therefore, the eardrum will be suppressedin the direction of the middle ear. This leads to pain in the ears, and in extreme cases, to bleeding. ENT doctors call it barotrauma. SANOHRA fly has been specically designed to protect the ear from rapid and severe changes in air pressure. A pressure regulator (apc), which is integrated into the earplug, regulates and slows down the pressure changes in front of the eardrum. SANOHRA fly should be placed 45 minutes before landing. The air pressure in the cabin grows quickly in just a few minutes. By timely implementation of SANOHRA fly earplugs,the increase of the pressure in front of the eardrum becomes slow and equalized. 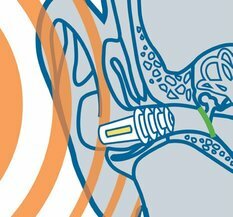 In this way, the Eustachian tube has more time to achieve ventilation of the middle ear, even in limited functionality, before the pain in the earstarts. 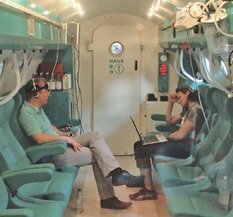 In the first systematic examination at ENT clinic at Charite Campus, the select group with problems in the ears when flying, was examined in the air chamber. Thereby it was confirmed the substantial reduction of the emergence of pain, bypostponement of pressure changes with the help of filters. More than 500 passengers participated in a user acceptance study carried out by the Institute of Marketing and Management of the LeibnizUniversity Hannover for the Hannover Airport, TUIfly.com, the airport pharmacy and the manufacturer, the Innosan GmbH. The group of test persons who were particularly affected by ear pain while flying, achieved an average pain reduction of 6.2 points on a ten-point pain scale by usingSANOHRA fly. Over 90% reported an improvement in discomfort level. In the group of test persons who previously rated their ear pain levels as moderate, around 80% of them were completely free of pain after using SANOHRA fly . Protects the ears against fluctuations in pressure Specially developed filter regulates and slows down changes in pressure in front of the eardrum, so that the Eustachian tube can ensure the ventilation of the middle ear, before the painoccurs. 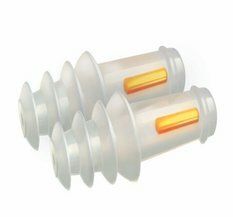 Acts against earaches – Not only while flying SANOHRA fly not only protects your ears during the flight, but also in all situations where strong changes in air pressure could trigger earaches, such as while travelling on mountain railways or in fast elevators in skyscrapers, in fast trains or in homes at height. The effect confirmed in studies The effect of SANOHRA fly has been confirmed in scientific studies at the Berlin Charité, working together with one airline company.